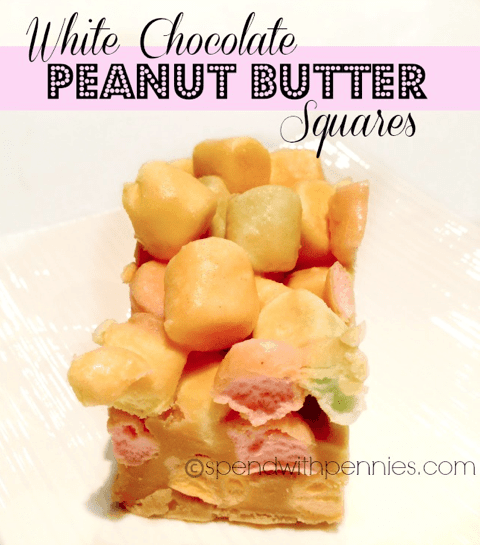 Peanut Butter Marshmallow squares are just a piece of my childhood in a dessert! I love these little guys and they are always a big hit when I bring them somewhere! 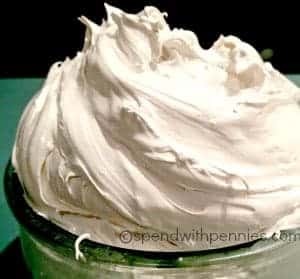 Combine peanut butter,butter and white chocolate in a saucepan. 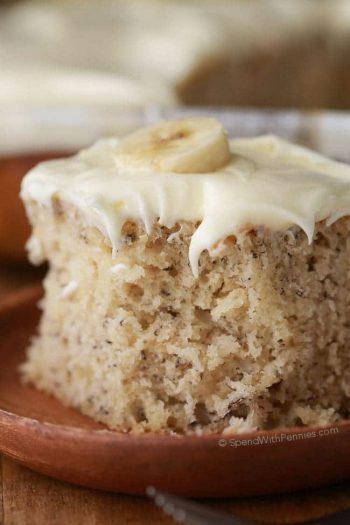 Melt the ingredients together on low heat until combined and smooth. 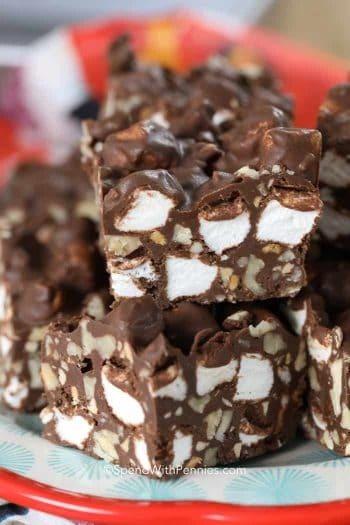 Allow the mixture to cool for about 10-15 minutes… this allows the marshmallows & peanut butter to remain evenly distributed throughout the mixture. You should be able to touch the bottom of the pot. 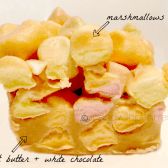 Once cool, fold in the marshmallows. Pour into a parchment lined pan (I used 9x9). Let cool completely in the fridge. Cut into squares. 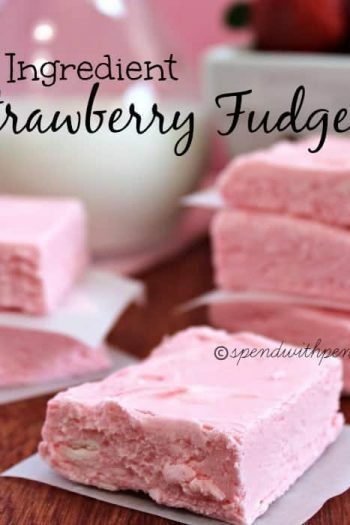 Recipe inspired by LVoe! Be sure to check out their butterscotch version!